It's week two of our summer podcast playlist and we're excited to share more great podcast recommendations. Have a listen to our second essay podcast 'Skittled out?' which discusses the crucial connection between space, place and people. We think you'll be inspired by Slate Placemakers' podcast about a legendary American urban visionary and a conversation from This American Life which both echo the importance of community space. Pubs, post offices, libraries, children’s centres, banks, community centres and many other spaces people rely on to engage with one another and participate in the world around them are being closed at an alarming rate. 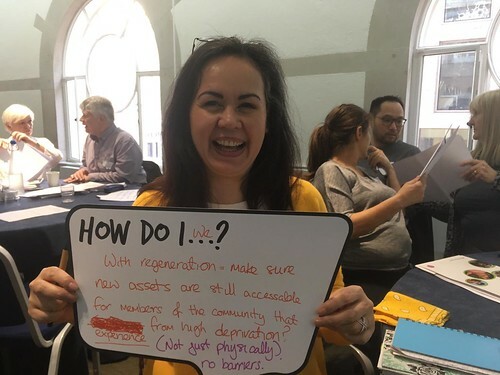 Our latest podcast asks what impact this is having on Sale West and SO18 Big Local areas in particular, with contributions from strategists and thinkers across the country asking what this means now, and in the future. Placemakers bring you stories about the spaces we inhabit and the people who shape them. In this podcast, we hear the story of Jane Jacobs, an urban visionary who promoted dense, mixed-use neighbourhoods where people interacted on the streets. This American Life - If you build it, will they come? A young preacher opens a new church. A new restaurant re-opens old wounds. This podcast tells the stories of people trying to build something that will last.